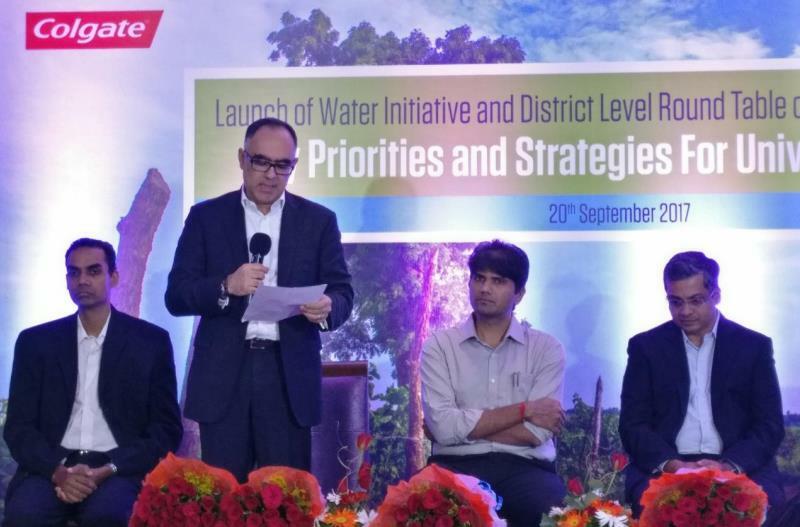 Colgate-Palmolive (India) Limited, the market leader in Oral Care, in partnership with the non-profit organisation, Water For People India Trust, today launched its Amravati Water Initiative in the Amravati District of Maharashtra. This program is an expansion of Colgate’s partnership with Water For People, after their successful collaboration in Bihar and West Bengal, since 2013. This program will support availability and accessibility of water, awareness towards hygiene and sanitation (WASH program), and other initiatives, such as water conservation and rainwater harvesting. Amravati District in Maharashtra faces extreme water scarcity and challenges in accessing potable water for daily living. The Amravati Water Program will begin by focusing on talukas, such as Nandgaon Khandeshwar, Chikaldhara and Dharni, where water related issues are acute. The program will cover 5 gram panchayats (15 villages) in the first year, with a projected cumulative coverage of 10-12 gram panchayats (36 villages) over a period of three years. The emphasis will be on ensuring access to safe drinking water and testing innovative, low-cost technologies towards provision of safe drinking water. The program will engage local communities for construction/rehabilitation of water facilities, operations and maintenance of community water schemes, and work together with the state and local government to provide a sustainable model for easy access to potable water and water for sanitation. In schools, the program will focus on water for sanitation, safe drinking water and hygiene promotion. 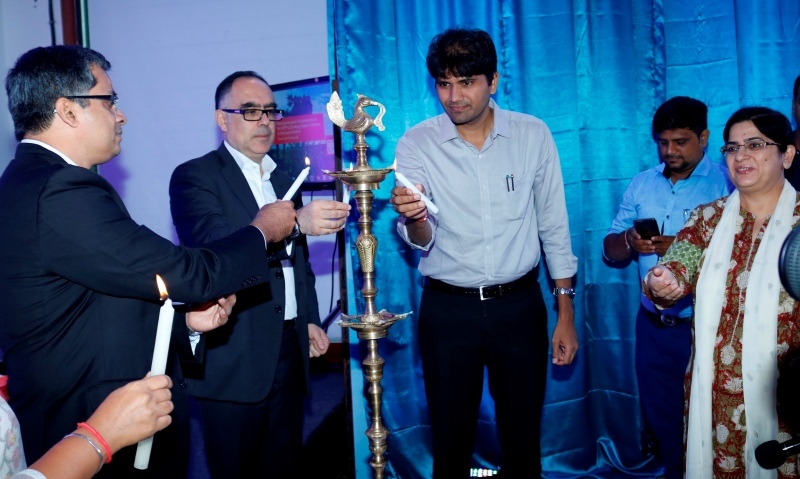 Mr. Issam Bachaalani, Managing Director at Cogate-Palmolive (India) Ltd and Mr. Abhijit Bangar-IAS, District Collector Amravati lighting the lamp at launch of Water Program in Amravati District. Mr. Abhijit Bangar – IAS, District Collector, Amravati was also present at the event. He welcomed the initiative of Colgate-Palmolive (India) Limited with Water For People India Trust, to launch this Water program in Amravati. “Our objective at the district level is also the same that is, to ensure access to safe drinking water and water for sanitation. So am very happy that this initiative is being taken in our Amravati district,” he said. We also highlighted the need to work together and at the district level, and assure full support to this partnership. Other dignitaries present during the inauguration ceremony included Ms. Meena Narula – Managing Trustee, Water For People India Trust, Mr. Shashank Deshpande – Senior Advisor, Water For People, Dr. Kiran Kulkarni CEO – Zilla Parishad of Amravati District, Mr. Pravin Khatne – Deputy Director GSDA of Amravati District, Ms. Uma Aslekar – Senior Scientist at ACWADAM, Dr. (Ms.) Bakul Rao – IIT Mumbai, Mr. Anand Godke – Water, Sanitation and Hygiene Officer at UNICEF Mumbai among others. Besides a successful partnership in India, Water For People and Colgate-Palmolive Company have an on-going partnership in the Latin American countries of Peru and Guatemala. Founded in 1991, Water For People is a global non-profit organisation working in more than 30 districts across nine countries in Latin America, Asia, and Africa to achieve lasting quality water and sanitation services. Colgate-Palmolive (India) Limited is India’s leading provider of scientifically proven oral care products with multiple benefits at various price points.